Team Scarab sells plans for multihull sailboats, mostly trimarans. Many of our clients live outside Australia. As Ray develops his design we often build a prototype to correct any problems that arise in the design. We wanted to have a boat building site to show these boats as they are built. 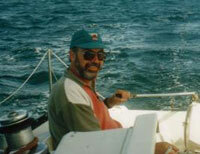 Yendys Boats Queensland is a companion site to Team Scarab. We want to show how Ray's boats are built and to sell the boats locally. If any of our customers wants to list a boat for sale, at no cost, we will list it on this site and Team Scarab web site as well as our Facebook site. We have a relaxed life-style and we live to build boats rather than build boats to live. S.E. Queensland is renown for a life-style that supports sailing multihulls both large and small so this will be our primary market for selling boats but our plans can be delivered worldwide over the internet.